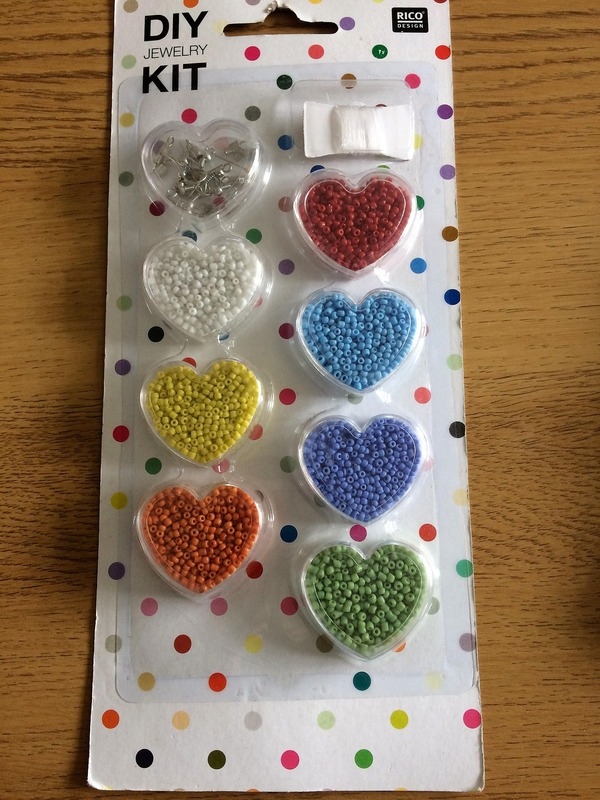 DIY jewellery kit which contains multicoloured opaque seed beads in heart shaped boxes. 9g of beads are in each of the boxes in the following colours white, red, light blue, yellow, medium blue, orange and lime green. Also included are 6 x clasps, 2 pairs of earring hooks and 2 x 1m nylon cord.